Hamster are taking to the football pitch once again for this week's release from their Neo Geo Archives. Neo Geo Cup 98: The Road to Victory has been made available on PS4, Xbox One and Nintendo Switch. Originally releasing in 1998 (obviously) to align with the World Cup tournament that took place in France and was eventually won by the home team, Neo Geo Cup is a standard soccer title, which keeps things simple and fast-paced to suit the sport better for the arcade market. 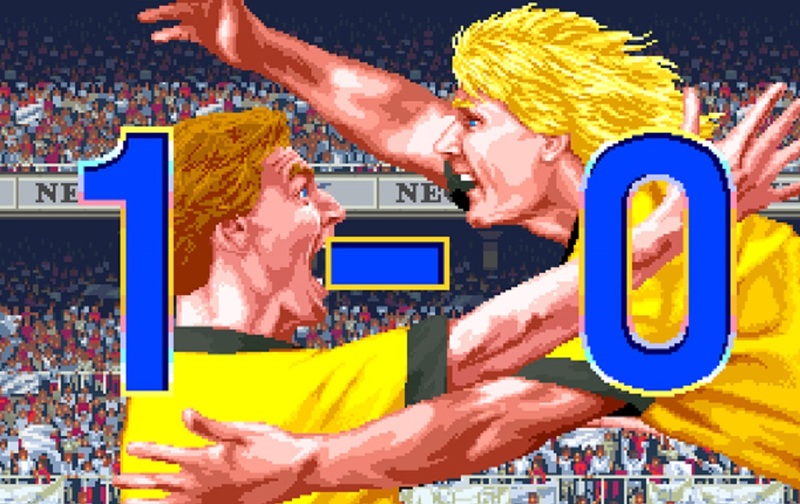 Sneakily, Neo Geo Cup '98 is essentially a remake of SNK's own Super Sidekicks 3, retaining the designs, mechanics and animations of that title, but re-skinned to capitalise on World Cup fever. Eventually ported to the Neo Geo console, Neo Geo Cup would see some alterations to try and increase the simulation aspects. It would also make its way to the cute Neo Geo Pocket Color as Neo Geo Cup '98 Plus Color. Neo Geo Cup '98: The Road to Victory is available now on PS4 in Japan and Xbox One and Nintendo Switch worldwide, priced at around $8.